Here's the best advice received about yesterday's NHL offer to the NHLPA: "Don't be optimistic. Don't be pessimistic. There is still plenty of work to do." That's good advice. Hockey fans have received enough kicks to the gut. "Don't be optimistic. Don't be pessimistic. There is still plenty of work to do." That's good advice. Hockey fans have received enough kicks to the gut. As of Friday night, here's where things stand: the players (and their lawyers) are poring over the 300 pages sent over by the league. Basically, the package consists of three separate pieces. First, there is a summary of the key points. Then, there is a "Memorandum of Understanding," which contains more detail (Its inclusion is interesting, because, in 1995, the two sides played through an M.O.U. with the full CBA not signed until August). The final part is a detailed offer complete with the expected legalese. That receives the closest scrutiny. Whoever in the NHL writes the "summaries" does a great job, as one player joked that what's written in them often sounds much better than what is in the legalese. That's why the players are being so cautious and careful in their reactions. Scheduled for Saturday is at least one conference call where the NHLPA will ask specific questions about the legal document. It's what you'd expect: "What exactly does this mean?" or "We interpret this line a certain way, do you agree?" It's tricky stuff, because big disagreements can take the train off the tracks. That happened with the NHL's first make-whole offer, which sounded great until the players realized it was coming out of their own pockets. And, then it's about finding out how much wiggle room there is. It's still a very good deal for the owners, who are getting the two biggest victories - a 50/50 split and some kind of term limits on contracts, although we're still haggling the details. But, they want to be careful about not losing the "fine-print fight" like they did in 2005. Escrow: This remains the toughest "solve" for me. The players don't want 25 per cent escrow payments, but the owners won't accept any caps or protection that adds any more financial risk to their books. This is why I'm in 100,000 per cent in favour of the eight-to-10 year CBA proposed by the league, because the only way this number will be mitigated is with a long-term deal that won't freak out sponsors. Anything less will make escrow worse. And, even though the NHL moves towards the players in each new offer, I'd be shocked if the owners bent on this one. Of course, so many of my predictions during the lockout are setting accuracy records. 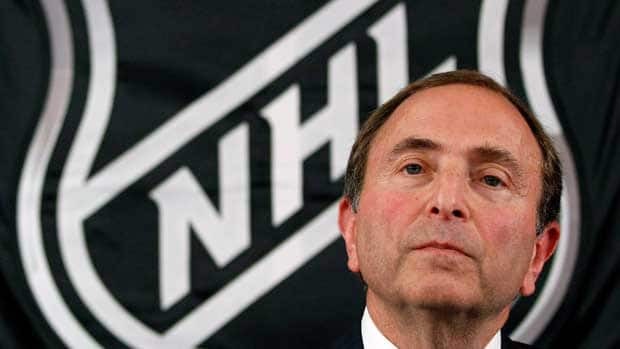 Contract terms: Deputy Commissioner Bill Daly is getting beaten up today for his, "The hill we will die on" comment about length, but the NHL did not move past seven years. Will the extra year (for signing another team's free agent) really solve the logjam? So, in addition to getting on the same page when it comes to interpretation, there's the question of whether or not there is room to negotiate or if this is another "take it or leave It" proposal. The players have learned to wait those out, which tends to be a successful strategy, so it's kind of pointless for the league to try. Sooner or later, you gotta negotiate to get a deal done. When you really look at the actual amount of time spent doing that over the past six months, the number is absurdly low. If it stays that way, this isn't going to work.